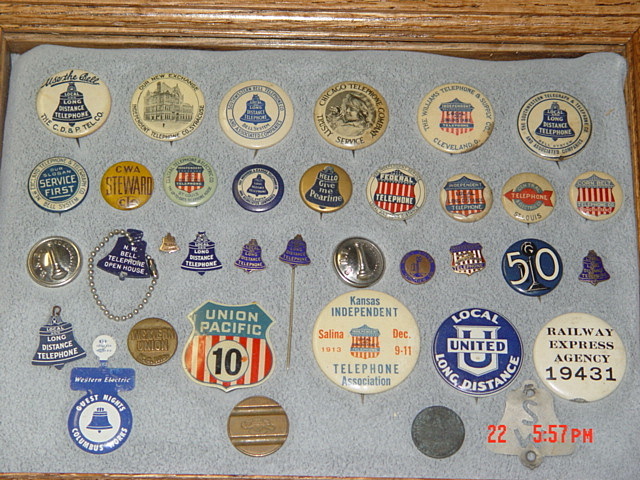 Here is a case of pin backs, buttons, stick pins and badges from different companies around the country. 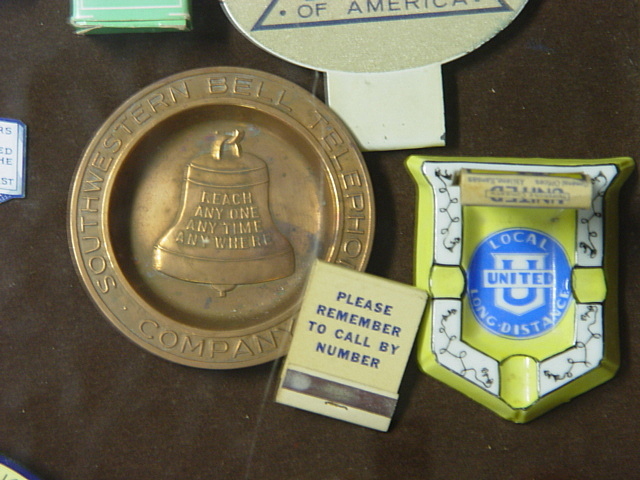 Badges from different meetings, conventions and get together's. They range from conventions in Kansas, Texas, South Dakota and N.Y. 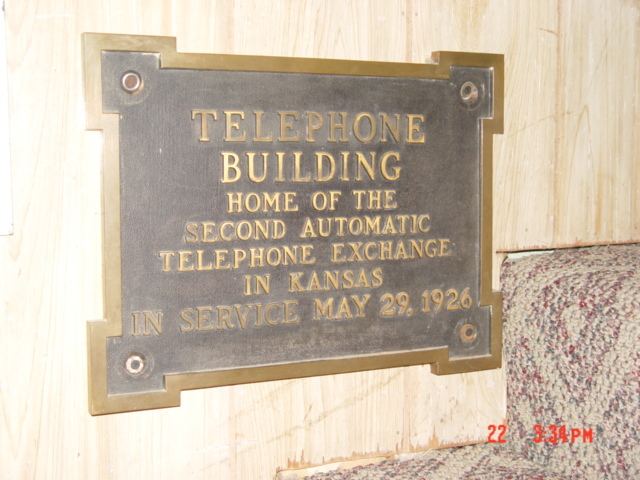 This picture was taken in Topeka, Kansas in 1925 at the Independent Telephone Companies Convention. 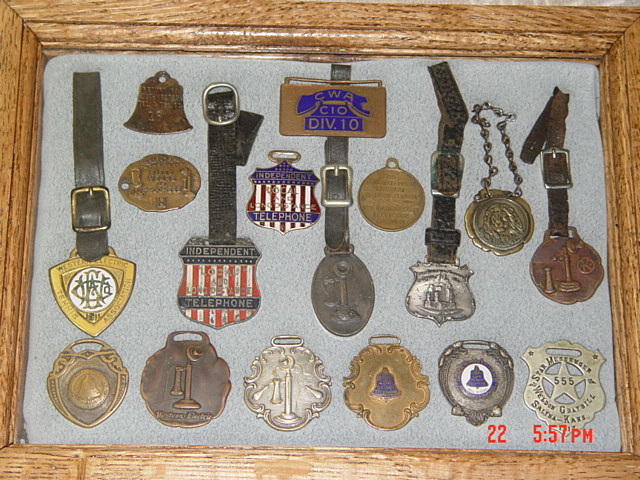 The second badge from the right on the bottom row in the picture above is from that convention. So somewhere in that crowd of people is J.R. Shipley. 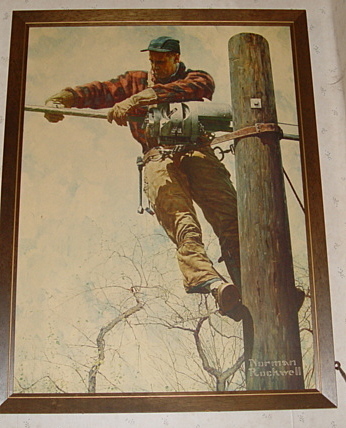 Norman Rockwell's print depicting a lineman standing on a pole in his hooks, with a spinner in front of him, spinning up new lead cable. 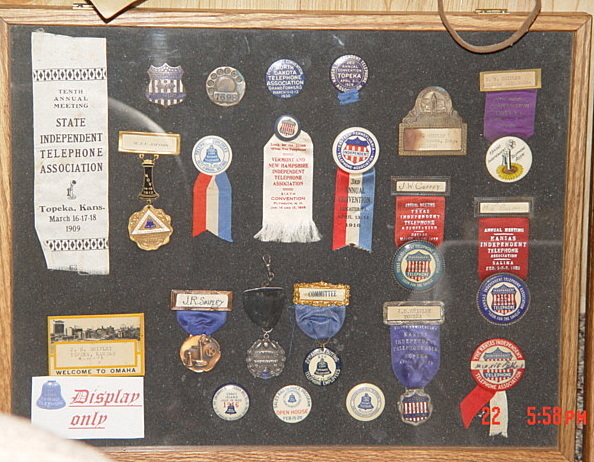 Pictures like this one and others usually hung in telephone company offices. 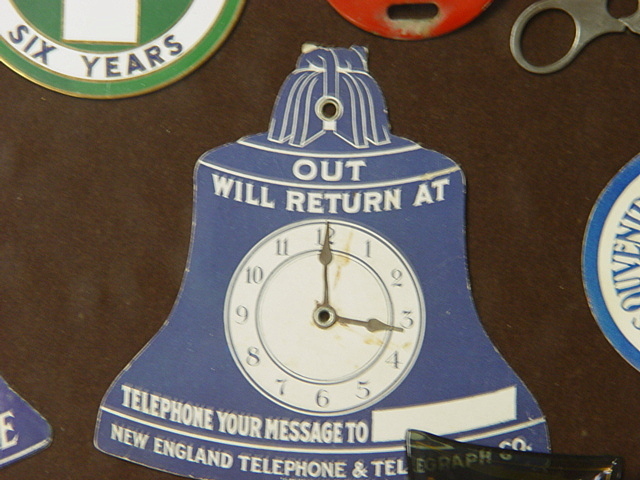 Brass sign from the Second Automatic Office in Kansas. 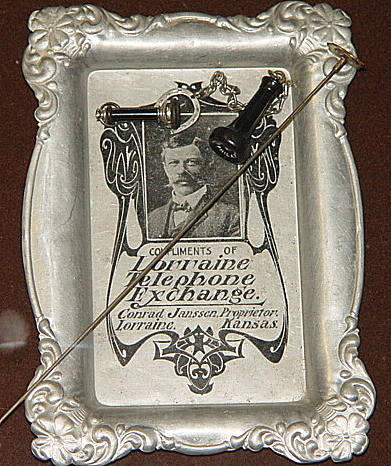 Tin Lithograph from the late 1800's of the Lorraine Telephone Exchange in Lorraine, Kansas, not far from Ellsworth, Kansas. 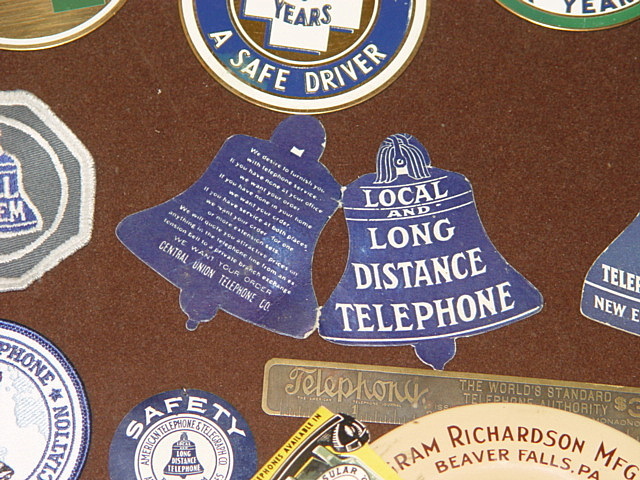 Lorraine's Central office, which was a Southwestern Bell office later on, blew up from a gas leak in the early 1980's. The walls were completely blown out. The only thing left standing was the central office switch and it still worked. 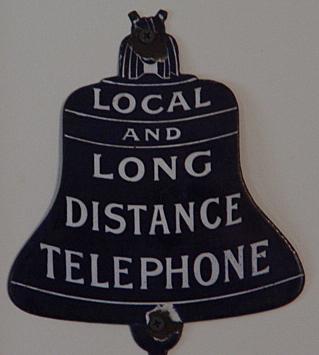 Lorraine's customers didn't loose telephone service. We joked about the office being like a Timex watch, " It took a licking and kept on ticking". 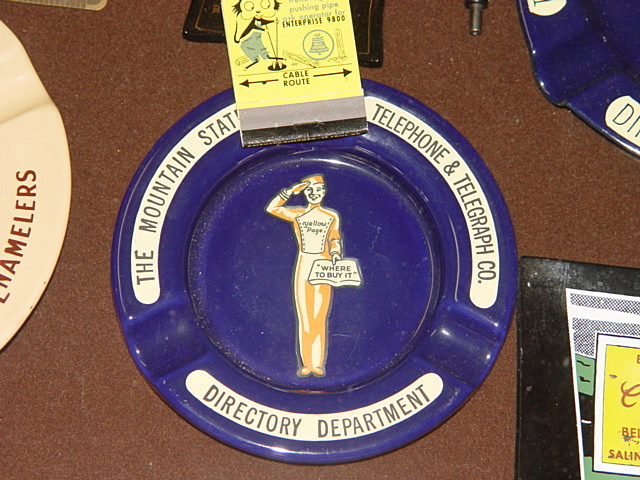 Two ashtrays from Mountain States Telephone Co. The top ashtray is larger than the bottom one. 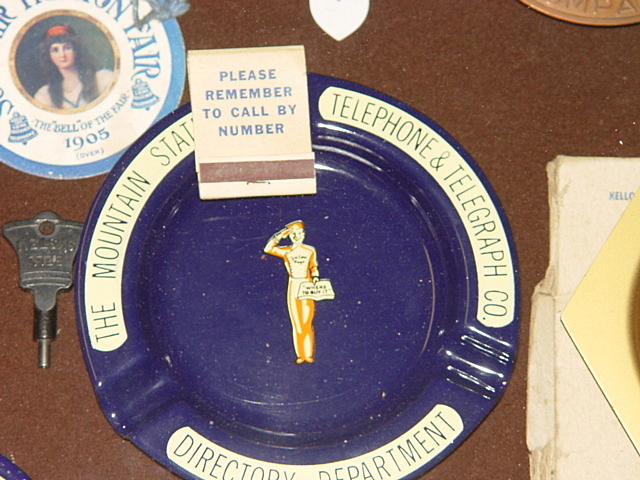 Two different types of early telephone advertising. 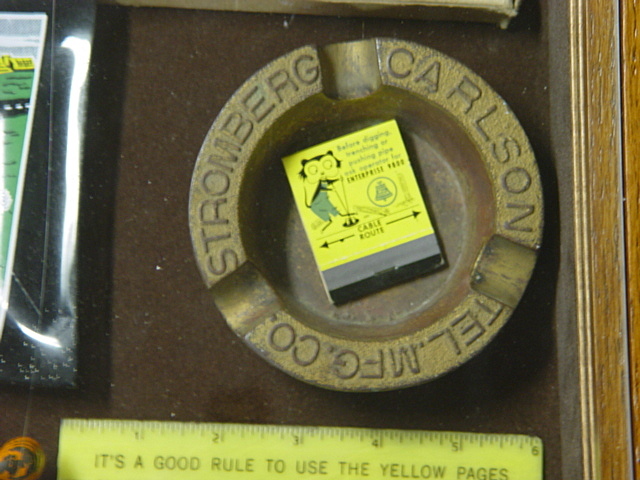 More advertising ashtrays from different Telephone Co.'s.